You don't need a fancy 120Hz television to smooth out your films — any old computer monitor will do. With just a Windows PC and a little bit of software, you can apply the same effect to your own videos without spending the extra money on a new TV. We here at Tested know that motion smoothing televisions aren't for everyone. 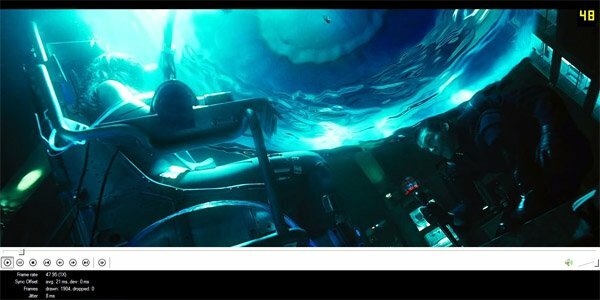 In last week's article on frame interpolation, a number of you made it very clear that the technology just didn't look good on the HDTVs you viewed, and often left source material looking fake and unrealistic (the "soap opera" effect). Ouch. 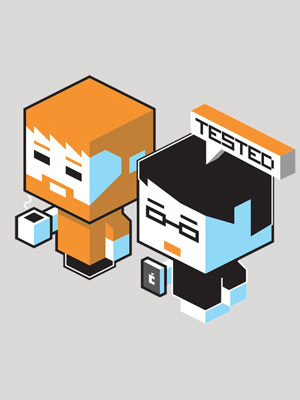 But for all the hate, there's bound to be a few fans amongst the Tested community. As it turns out, you don't need a fancy 120Hz television to smooth out your films — any old computer monitor will do. Install the K-Lite codec pack you just downloaded. There's no need to change anything, as the defaults should all be fine. Install AVISynth as well. unchecked while all AVISynth options are checked during install. K-Lite includes an application called Media Player Classic which we'll be using to playback our videos. Open it, and go to View > Options. Click "Internal Filters" and uncheck everything. Next, you'll want to navigate to "Output" which is nested under the "Playback" section. Change the direct show video renderer to Haali. 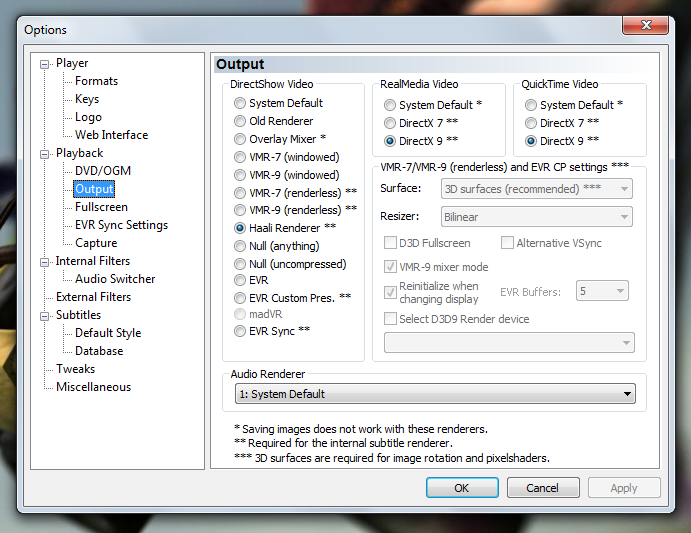 Save your settings, restart Media Player Classic, and test a video file of your choice. If a number of icons, including ffdshow, appear in your system tray, then you've set everything up correctly. 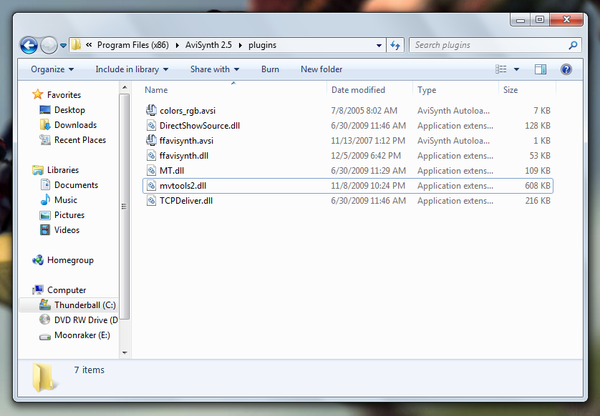 Your Avisynth plugins folder should look like this. 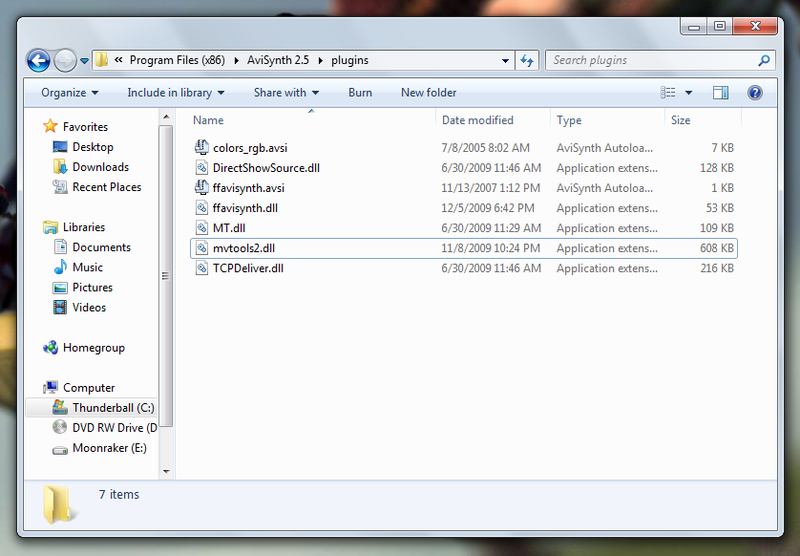 avisynth.dll in your "..Windows\system32" directory, and the contents of the plugins folder you extracted in "...Program Files\Avisynth 2.5\plugins". Overwrite any existing files. If you're on a 64-bit system, place avisynth.dll in your "...Windows\SysWOW64" directory, and the contents of the plugins folder you extracted in "...Prorgam Files (x86)\Avisynth 2.5\plugins". Overwrite any existing files. Finally, extract the framedoubling plugin MVTools download, and place the mvtools2.dll in Avisynth's plugins folder – the same directory as in the last step. How your Avisynth settings in ffdshow should look. 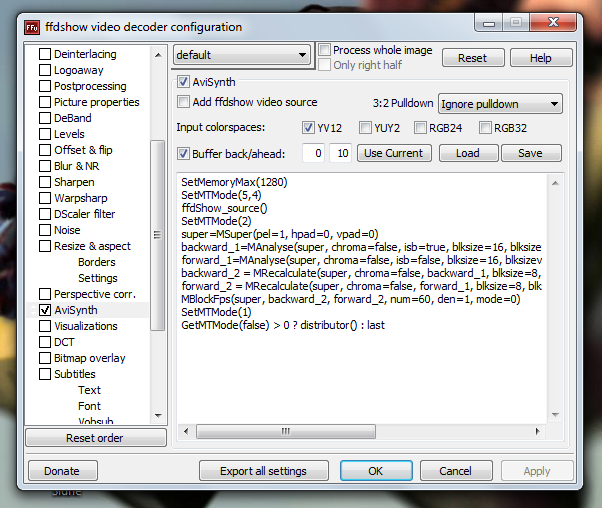 Video Decoder Configuration and check the AVISynth box on the left. Next, uncheck "Add ffdshow video source". Beside "Input colorspaces," the only value that should be checked is "YV12". Buffer back values should be set to 0/10, though other values (10/10, 0/24) may prove more successful if you experience stuttering. The finished result. Just, you know, with more movement. SetMTMode(5,4) on the second line of the script to SetMTMode(5,8) to take advantage of the extra threads. Also, on the third last line, changing mode=0 to mode=2 can improve the smoothing process, but may introduce graphical artifacts on lower-end systems. It's a longer process than simply playing your file in VLC, but if you're a fan of motion smoothing and frame interpolation, it just might be worth it. Give it a try, and let us know what you think! Special thanks to nzweers and widezu69 from Guru3D, upon which these steps have been adapted from.